We have teamed up with Bulkhead Interactive and Belong by GAME to bring you the first ever Battalion 1944 LAN tournament. The Blitzkrieg Open Championship will take place at Insomnia62, the UK’s biggest gaming festival which is located at the Birmingham NEC in Birmingham, UK. This tournament is only open to attendees of Insomnia62 and with only around 500 tickets left for the entire event, make sure to buy your tickets ASAP. You will be able to catch all the action live on our Twitch channel, as well as the finals being featured on the player stage for Insomnia62. 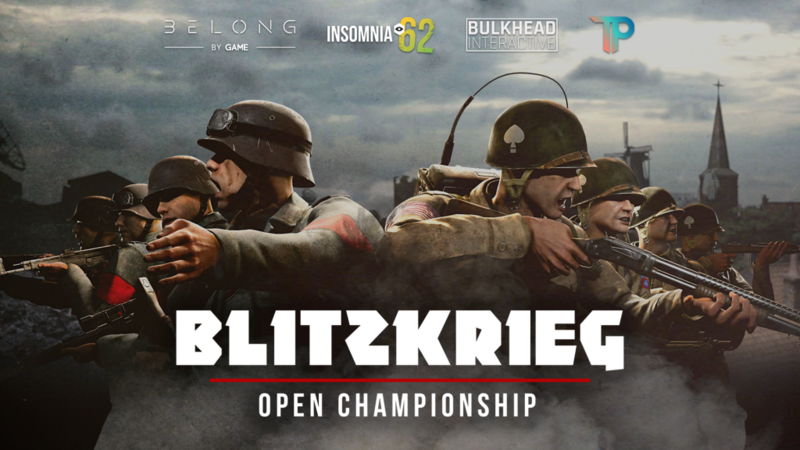 The Blitzkrieg Open Championship will feature a £10,000 prize pool which will be distributed to the top 4 finishers of the tournament at Insomnia62. As well as receiving the lion’s share of the prizepool, the tournament champions will each receive a one-of-a-kind in-game golden weapon skin. These will be individually customised to include the player’s name and the event. For more information, head on over to our event page at http://i62.theplays.co.uk.